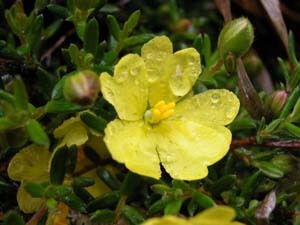 Hibbertia basaltica is a rare species found only on basalt soils near the Jordan River north of Hobart. 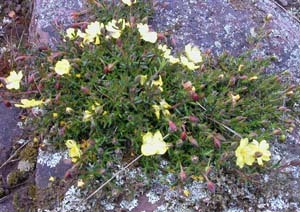 It is a prostrate plant that grows in grasslands. 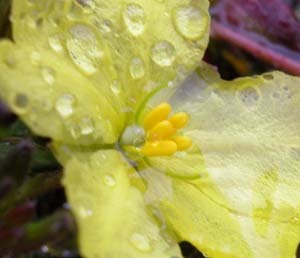 The leaves are tightly revolute (like H. riparia), but the flowers are on peduncles and the flowers have one stamen on one side of the carpels and several on the other.